An ancient symbol of good luck, protection, reliability, and wisdom, the elephant is an animal that demands respect. So who better to prop up your precious tomes than a pair of hardworking pachyderms? 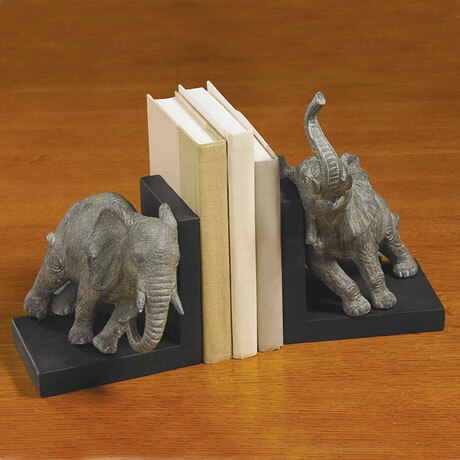 Fashioned of realistic-looking gray resin, the weighty 6"x9" bookends will "never forget" to keep your shelf neat, tidy, and wildly adorable!